Google Earth, one of my personal favorite time-wasters ever, is ten years old. And to celebrate, Google is introducing a few new features. First is Voyager, a curated service that spotlights and displays the most sightworthy content available on Google Earth. It looks to be a new, user-friendly way of navigating Earth from your computer chair. Next is Earth View, which got its start as one of Google's 20 percent projects. The feature, which you can check out right here, offers a high-resolution collection of some of Earth's most incredible views collected via satellite. These are seriously gorgeous and make for great desktop wallpapers. 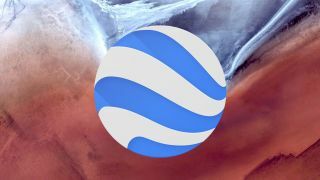 Looking back, Google Earth was announced in 2005, giving map-gazers an interactive way to become acquainted with Earth's far-off places from a satellite's perspective. While ten years isn't too old for a human being, it's another story entirely for software to reach the decade milestone. Since its launch, it's gotten tons of use, both as a tool for educational purposes and as a fun utility to scan the globe for oddities captured by the satellites. Additionally, the project has more than proved itself to be an essential eye in the sky after providing some startlingly clear visuals on the immediate effects of natural disasters, like Hurricane Katrina. Do you have any fond memories of using Google Earth?